​Leeds United have made an approach to sign Newcastle's young goalkeeper Freddie Woodman in January amid an injury crisis at the club. 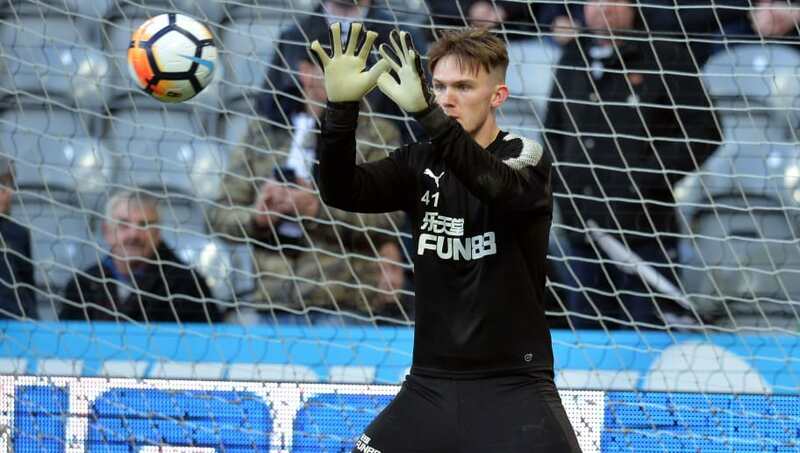 21-year-old Woodman sat on the bench ahead of experienced goalkeeper Rob Elliot for Newcastle's 2-1 win over Burnley on Monday night. The youngster is regarded as a Premier League star of the future, and has represented England through U-16 to U-21 levels. Leeds managing director Angus Kinnear revealed last weekend in a matchday programme that the Yorkshire side are looking to sign a goalkeeper in early January. Leeds are in need of goalkeeping reinforcements after backup Jamal Blackman suffered a broken leg in an U-23's game. According to a report from the ​Chronicle, Leeds are looking at Woodman to take over deputy duties behind first choice goalkeeper Bailey Peacock-Farrell. With Blackman injured and Peacock-Farrell also on the treatment table, ​Leeds have had to utilise 20-year-old third choice goalkeeper Will Huffer at times. However, it is understood that Leeds want a 'first-team ready' goalkeeper to keep their promotion hopes alive. Woodman is seemingly third choice at Newcastle behind Martin Dubravka and the injured Karl Darlow. The youngster may reportedly be interested in a loan move to find first team football elsewhere. Leeds currently sit second in the Championship, one point behind leaders Norwich City after 19 games, and have their first team keeper Peacock-Farrell back from injury. Nevertheless Bielsa is keen to have a reliable backup between the sticks come january.